This post is not for those on juice cleanses. It's not for those who have decided to stop eating dessert. 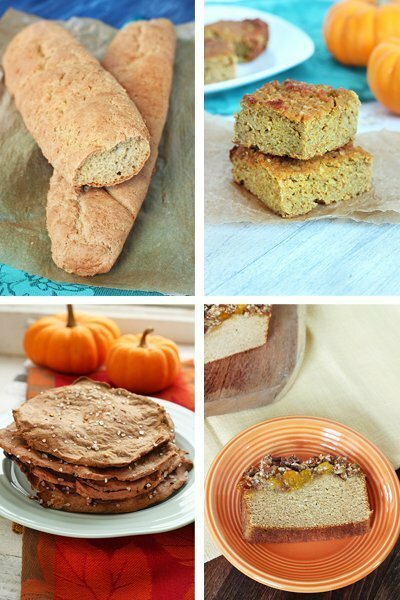 This post is for those who want to learn how to make healthy baked goods using quinoa. For me, and for many of you as well, January is a time to focus on eating healthy, whole foods that detox your system and get you reenergized for the year ahead. This means eating more greens, focusing on whole grains, reducing your alcohol and caffeine consumption, and even cutting sugar out of your diet completely. But what about desserts and baked goods? Does that mean we have to cut those out too? In my personal opinion, no. I love dessert and I love baking. It's one of my favorite pastimes and I just can't imagine letting that go. Especially gluten-free baking because I find it to be a challenge, but a fun one at that. 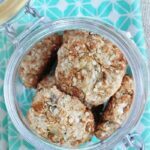 What I've enjoyed most about exploring using gluten-free ingredients in my baking is learning how to make these baked goods healthy. Which is precisely why I created my ebook, Baking with Quinoa. And why I want to share it with you again. The book features 25 recipes, all of which are free from gluten, dairy and refined sugar. Many of the recipes are also vegan. 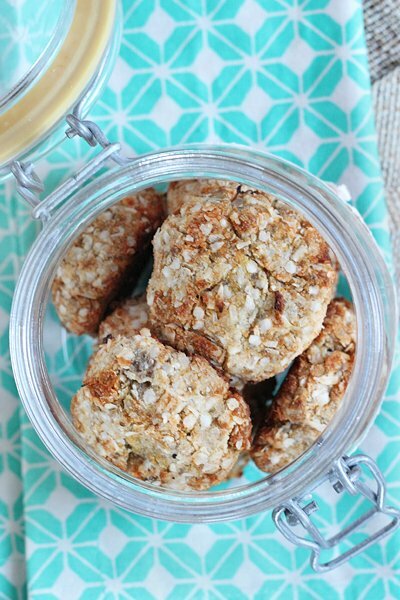 But most importantly, these recipes are healthy – full of whole grains (like quinoa, millet & brown rice) and nutritious fats (like coconut and olive oil), and yes, every single one is free from refined sugar! It's a must have if you want to continue to eat delicious baked goods while still maintaining your new year's resolutions to eat healthy. So, what are you waiting for? Pick up your copy of Baking with Quinoa today! And just because I love you so much, and I want you to stick to your healthy eating habits too, I'm including an exclusive recipe from the book to show you just how healthy these recipes really are! Combine chia seeds with warm water and let stand for 10 minutes. Meanwhile, sift dry ingredients into a medium mixing bowl and set aside. Beat together wet ingredients - chia eggs, honey, oil, vanilla and lemon juice - until fully combined. Stir in lemon zest. Add wet ingredients to dry ingredients and mix to form a moist cookie dough. Spoon batter into golf ball-sized cookies, pressing down lightly with your hands, and place on the baking sheet. Bake for 8 - 10 minutes, until cookies have started to brown but are still tender to the touch. Serve with a glass of milk or steaming cup of hot tea. 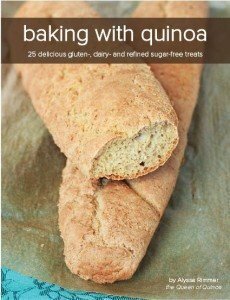 Featuring 25 mouthwatering recipes – all free from gluten, dairy & refined sugar – Baking with Quinoa will show you just how easy it is to make healthy & nutritious baked goods. Quinoa for Breakfast is officially here!